You often speak about adopting a “why not” mindset. Can you explain what that means? 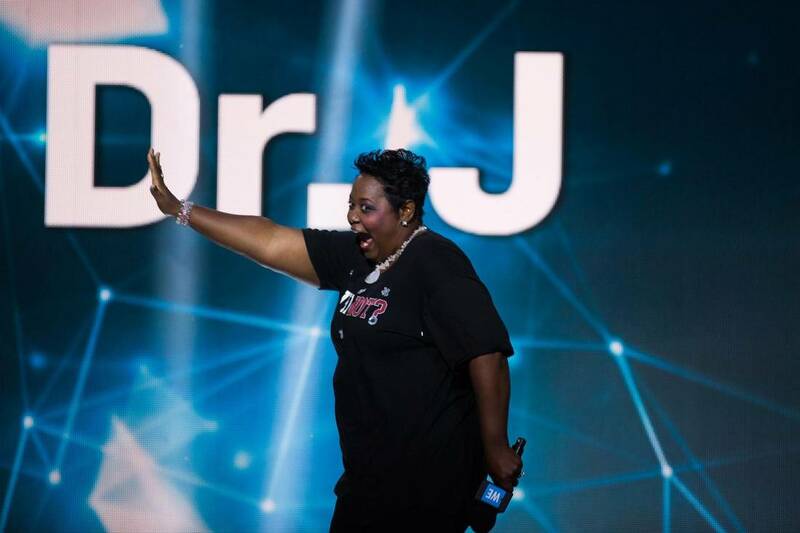 The “why not” mindset is a mindset of possibilities for almost anything, for community partnerships, for the ability to do more than what we are expected to do. As a principal, I was tired of just getting things that we needed. I wanted to have things that our scholars – I refer to our students as scholars – wanted, and also that they deserved. In other words, why should not we deserve the best? That type of thinking changed our attitude of what we deserved. My perspective is for us not to just think big, but to think even bigger. My partner Heather read this quote to me yesterday and it has stuck. I am always trying to figure out what really good leadership is all about and why it is such a rare commodity. Rare at least in my definition. I think it has something to do with courageously adopting a ‘why not’ mindset. I have seen these type of leaders in the past, people like Carol Hunter a now-retired principal in the Ottawa Public Board and Lorne Howcroft, my first principal in the Dufferin-Peel Board. Both of these individuals were striking in the sense that they had a real vision of what was possible and neither felt confined by the narrow strictures of the district bureaucracy. This type of leader is an inspiration. They have real courage and do not define themselves by the current mandarin mantra. The important line in the quote is ‘why should not we deserve the best’. Getting the best for your students will mean working outside the confines that your school board wants to put around you. How many leaders are comfortable with doing that? Most school leaders believe in alignment – the idea that the main ideas that govern the school are seamless with what the school board and by extension what the ministry believes in. No really strong leader was ever praised for doing alignment really well. To do the best for your staff and students, especially in hard to serve areas you need to be an unconventional thinker and look outside your district for partners that share your vision. School board administrators want you to support their vision – I don’t think you can do both. To really serve your community you have to find a new way. Most school leaders will not accept these ideas and I have had discussions with administrators who certainly not hold these views and who actually judge my thinking on non-alignment to be disloyal. My question is, who are we supposed to be loyal to? Why were we hired to lead if not to think on our own and advocate always for our students? If we have the courage to do this we must accept the enmity of those who believe our actions must always align with those of our district. The school leaders I have the most respect for all had difficult relationships with their district supervisors. To me, that is a sign they were on the right path. I am sure it has been the same for Dr Sanderlin. We don’t need to be proponents for the district mantra. We need to say ‘why not’ and act for our communities. If we don’t, who will? Last week there was a great announcement in our school neighbourhood. 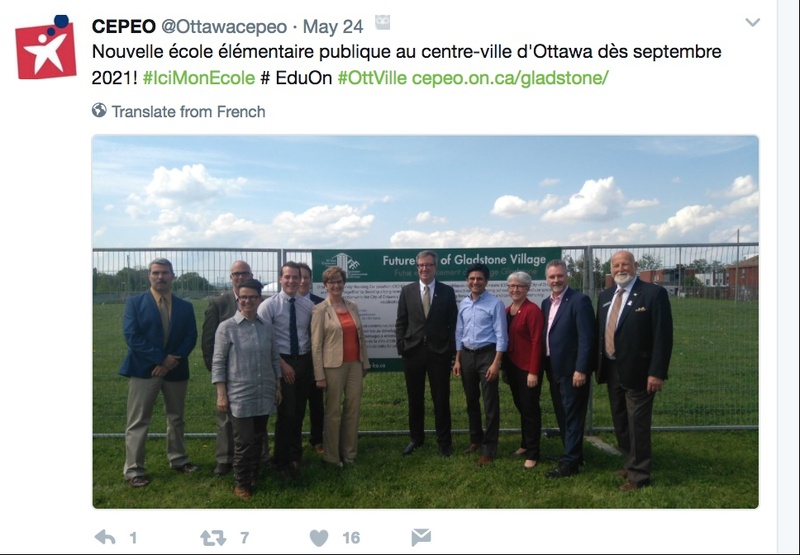 The City of Ottawa, Ottawa Community Housing and surprisingly, the French Public School Board of Eastern Ontario have joined together to develop a 7-acre piece of land right in the heart of Ottawa. The project will include affordable housing, a new French public school, single-family homes, and businesses to support the new community. The development has the potential to stretch into a 15-acre project if an additional piece of land adjacent to this section can be brought in. 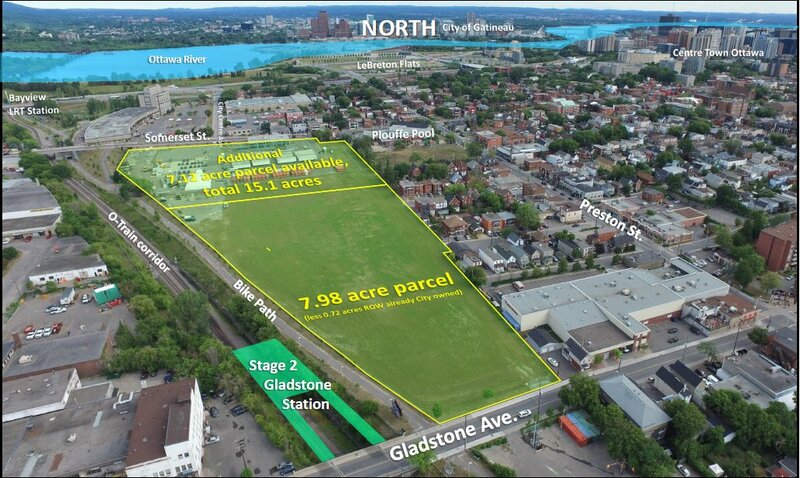 The new development is called Gladstone Village and it has the potential to transform this neighbourhood in some really important ways. In my opinion, the most significant aspect will be the addition of good, affordable housing for families that live in this community. I have worked in this community for three years as a principal of a local school and now as a community volunteer. One of the saddest parts of my job as a principal was to say goodbye to families who could no longer afford to live in this wonderful community. Housing prices have been going up steadily in the area, forcing lower income families to move to other parts of the city that generally are not as well set up to offer important social services to these families. Hopefully, with the building of Gladstone Villiage, this trend can be reversed. What is especially gratifying is to see a public school board take an active role in the partnership that will construct the new village. This is unusual. School boards traditionally do not get overly involved in community development. As traditional institutions, they see their primary role as educators of children, not community developers. The French Public Board is showing that things can change and school boards can take an active role in developing and enriching the communities that surround them. What school boards will find once they start looking to get more involved is that there are lots of organizations out there that would love to work with them. While I was principal of St. Anthony School – close to the new village – we developed some incredible partnerships with organizations like the Aviva Community Fund, TD Friends of the Environment, (@TDFEF), Evergreen Canada, the City of Ottawa and the wonderful local Italian community. Together, these groups helped us to raise over $165,000.00 in less than two years to transform our dilapidated school yard. 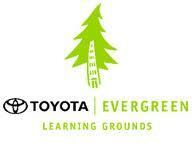 Evergreen consulted all the students and developed the first plan for the yard. The Italian community got interested and held a huge fundraising dinner for the school – over 400 people attended and we made over $20,000 in one night. We entered the Aviva Community Fund competition and with the help of a huge on-line community, won $100,000. 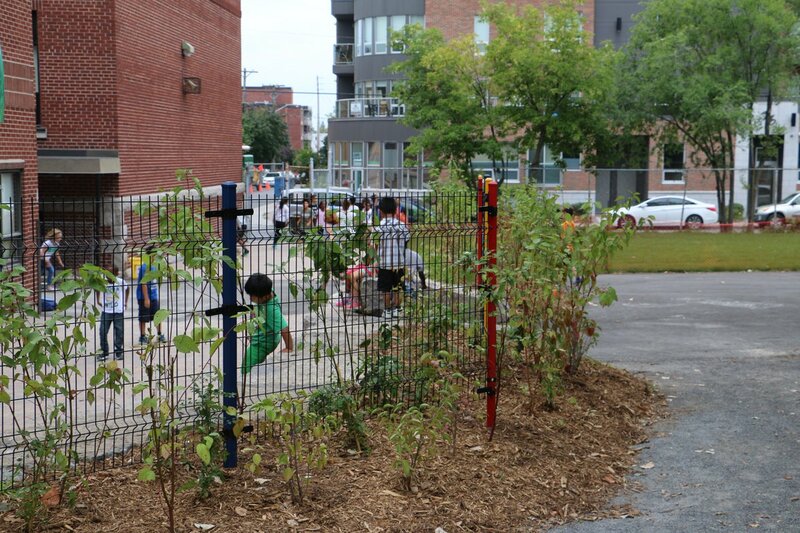 The Ottawa Community Foundation also made a very significant contribution allowing us to complete the renovation of the yard. Along with Gladstone Village, this is a great example of partners coming together to reshape and build a new community. Education institutions like our school and the Eastern Ontario French Public Board illustrate the importance of reaching out into the community to create something better for our families. It is no longer acceptable to sit back and wait for the students to show up. This passive approach misses many opportunities to engage actively in the community. We could have done more. We could have opened adult literacy classes for parents at night or during the day so that they could stay close to their children. We could have constructed a computer room with free wifi so that parents could access the internet – something many of them could not do from their homes. We could have offered space in our building for community agencies to connect more readily with the families they served. All of these ideas were discussed and unfortunately, none were ever implemented. That is too bad. This has to change. School Boards need to start to realize that their buildings do not belong to them, they are community assets that need to be shared. The community can not be blocked out of these spaces, they need to be welcomed in. Education really needs to become public in a much wider sense. To ignore our larger public responsibility is to retreat back into the 19th century – we simply can’t do that. Congratulations to the Conseil des écoles publiques de l’Est de l’Ontario. The work of greening our school continues. 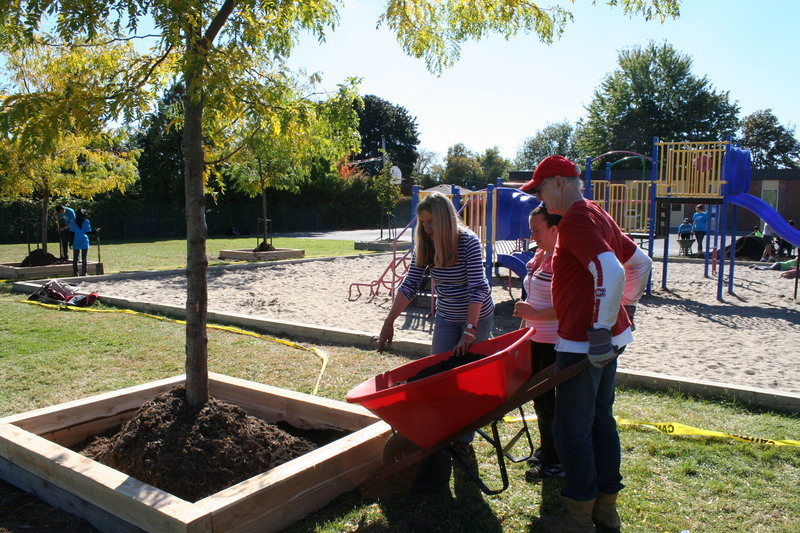 With financial assistance from the City of Ottawa, Evergreen and TD Friends of the Environment, we have planted twenty trees on our property and have added raised beds to nine of these trees. In the process, we have created a community partnership that includes our funders, the Ottawa Catholic School Board, Carleton University and our parents, staff and students and two wonderful resource people from Evergreen – Ann Coffee and Andrew Harvey. We are now working on Phase III, the construction of two outdoor classrooms. Research shows that getting students outside helps them to learn better, keeps them attentive, encourages their imagination and improves the overall class environment (Globe and Mail, September 24, 2013). The planning phase is really interesting. 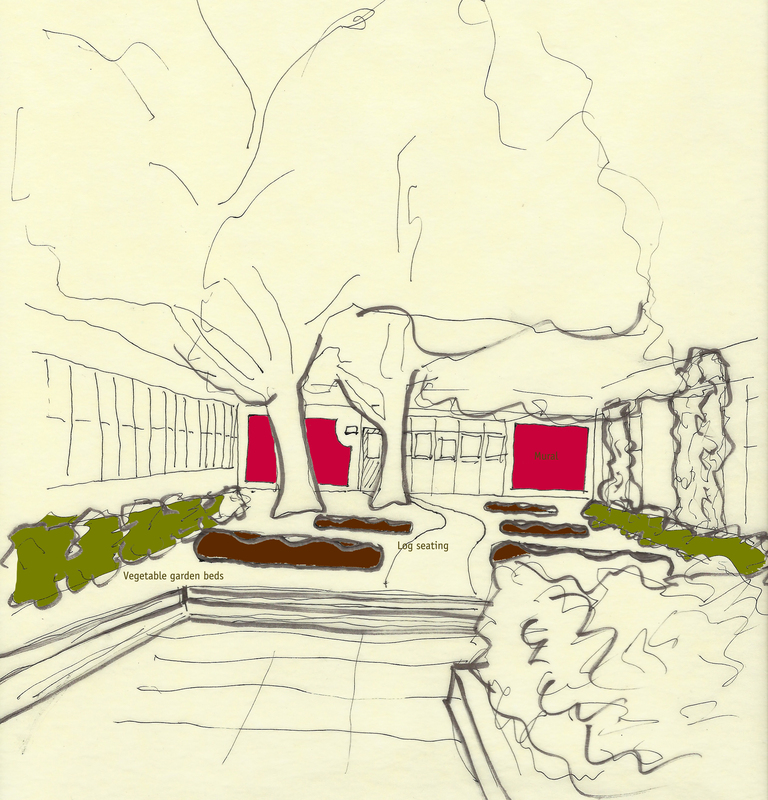 Ann and Andrew have always based their planning for design of our green spaces on student consultation. Conversations with our students happened before any trees were planted and now have taken place to help come up with a design for the outdoor classrooms. We have a long way to go, but I would say these consultations are the most important part. Their ideas and opinions breathe life into the plans and proposals we are putting forward. What a great way to make a permanent mark on your school!